Have you spotted this leaflet in your home yet? We have now opened for an extra day due to customer demand. 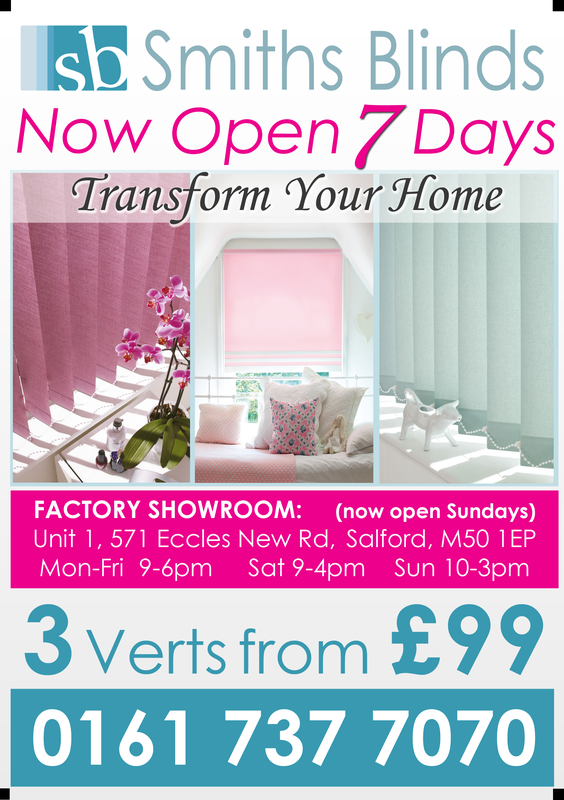 Take advantage especially in the run up to Xmas and choose those special blinds! We have discount on rollers, romans and vision blinds – come to visit our new showroom today just off Eccles New Road (we are located on Hessel st opposite the Weaste tram stop).